How to Get a Job as UX Designer even without Design Experiences? Want to get a job as UX designer even without design experiences? 5 simple steps and tips for you to become a great UX designer even with no experience. Do you know the average salary of a senior UX (user experience) designer has been up to $86,071 per year till 2017? Do you know UX designer has been ranked 14th in a top 100 job list delivered by CNN? Or do you know hundreds of, thousands of or even far more UX design positions will be created in the next ten years? What to Do Before You Follow 5 Steps to Find a UX Designer Job? 1). Why do you want to be a UX designer? The answer to this question can not only let you know your real feelings about UX design, and also can become a powerful motivation that encourages you to overcome different problems and hardships in the future. Of course, if you are not determined yet, the answer also can be a good excuse to give up. Hence, take this question seriously and write down all answers, if possible. In this way, you can read them at any time when you cannot hold on and think of giving up in the future. 2). How much do you know about UX design or UX designer? Are you a UX designer with no design experiences or merely a newbie who knows nothing about UX design? Or how much do you know about UX design or UX designer? Actually, the answer to such questions can let you know your real situations. And That could not only help you make a practicable learning plan, and also find a proper position while applying for a UX designer job online later. Hence, make sure all your answers to such questions are real and practical. 3). Which field or business do you want to fall into? In order to make full use of your time, before you follow the steps to be a UX designer, you’d better also figure out which field or business you prefer to falling into. For example, if you want to be a UX designer that will design and develop interfaces of a mobile phone app in the future, you’d better focus on the knowledge of designing and improving mobile phone application interfaces, like learning from design works by excellent UX designers. 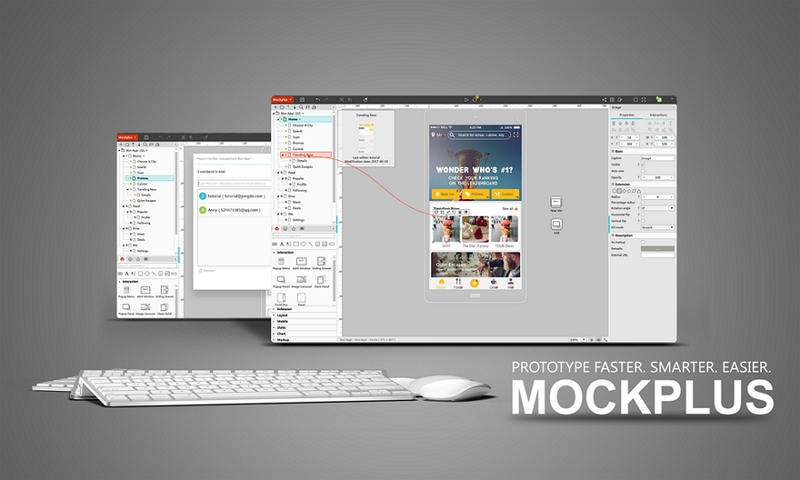 Of course, if possible, also specially learn and acquire at least a prototype tool that allows you to build an interactive mobile app prototypes, like the easy and high-efficient tool - Mockplus. And then, while scanning a UX designer position online, you can also choose some companies that are involved in researching and developing mobile apps. Hence, the answer to this question can help you get a right direction to guide your future learning and job searching. It is also important. 4). How much do you want to be paid as UX designer in the future? As the picture above shows, the average salary of a common senior UX designer is $86,071 per year. And how much do you want to be paid as UX designer in the future? Actually, the answer to this question can also motivate you to keep learning and fighting for a better position. In short, no matter what your actual answers to these questions are in details, you’d better take them seriously and let them guide you to make a practical learning and job searching plan. Honestly, reading UX design books and articles is pretty useful and practical to broaden your knowledge in UX Design and improve your design skills. So, go to local libraries and choose some must-read UX design books and articles. Hack Design is free and easy for you to follow different design courses and receive design lessons in your inbox each week. And these delivered lessons also include links to many useful and popular articles, tutorial and even task lists for you to follow. Coursera offers 2000 courses from well-known schools like Standford and Yale. Many courses also offer verified certificates and specializations which can be shared via LinkedIn after your participation. My. Path offers both of free and paid learning materials. And you can choose your desired courses, articles and videos based on your own needs. An online or offline course is also a good way for you to learn UX design knowledge more systematically. Moreover, if your teacher is coincidentally a UX design expert, it also could be a nice chance for you to learn useful skills and experiences that you cannot get from a book. Hence, join a full-time/part-time online or offline UX design course, if possible. Do you know any excellent UX designers that can give you useful suggestions and share their experiences? If your answer is unfortunately “No”, also do not panic! You can easily find them through Twitter, Facebook, Dribbble and more similar social platforms. Merely follow them and learn from their design works. If possible, also be brave to talk with them and keep a friendship there. Overall, just adopt all possible ways you can find to improve your UX design skills. Which prototyping tool do you use to translate your ideas into visual and interactive prototypes? In fact, prototyping tools, as commonly-used tools for UX designers, can not only help you verify some useful theories and principles learning from books or online courses, and also help you practice and improve your UX design skills. Needlessly to say it also could be a spark of your resume. * Allow you to create, preview, cloud sync, publish and share a project easily with one click. *Drag and drop a linking point to quickly create interactions. *Offer a powerful component and icon library, including over 200 components and 3000 icons. *Support 8 ways for designers to preview and share a project with computers or mobiles. *Offer team collaboration that allows multiple designers to edit and complete the same project. Overall, no matter whether you are a beginner or expert in UX design, it could be a nice tool for you to build a beautiful interactive prototype with ease and efficiency. Online portfolio site, as one of the best ways to show your actual UX design abilities and skills, also plays an important role while you are trying to attract the attention of interviewers. Hence, after mastering a prototyping tool, you’d better also start to build your own portfolio site online. Overall, always show your positive sides there. And also leave your contact information so that interviewers can directly contact you when they have any question or concern about you. For example, merely leave a valid email or your twitter/facebook/dribbble link there. As the main part of a portfolio site, your UX design works should be the core part. Hence, upload and list your best design works there. If you do get no any professional design works as a newbie, also do not worry. Build some mobile or web application prototypes with the help of good prototyping tools, like the easy and high-efficient tool - Mockplus mentioned above. Of course, if possible, also send them to some famous UX designers and let them give you some suggestions or comments. That could be a nice way to work out an excellent prototype. A unique resume is also another important document to apply for a good UX design position. So, also make an awesome resume based on your own situations and conditions. Directly download a free template online and improve it based on your needs or make it all by yourself. No matter which ways you choose, always highlight strong points and avoid weak points. As the world’s largest job site, Indeed.com can help you search and apply for UX designer positions offered by companies from different countries and regions in the world. As the largest social networking site in America, Linkedin.com can not only help you search jobs to get hired, and also allows you to know more UX designers registered there. As a website that allows users to create different groups and meet people nearby, Meetup.com can help you join professional UX design groups and meet more UX design experts. And it also could be a nice chance for you to find a good UX design job there. As the world’s largest online workplace for freelancers, Upwork.com is also a good site for you if you also want to be a freelancer in UX design. 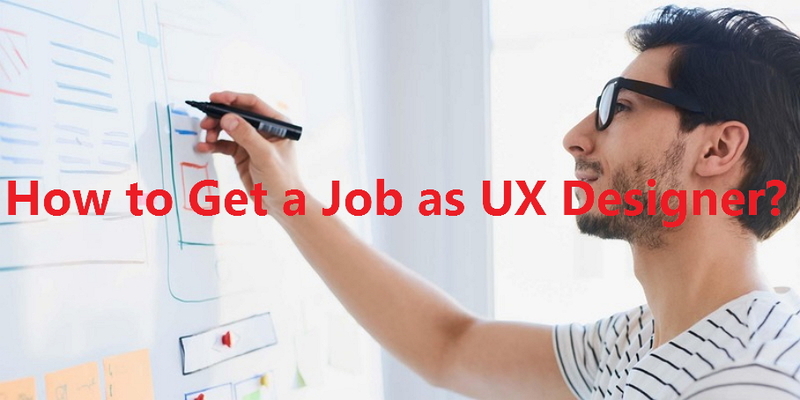 As an online site made for UX designers, you can search and apply for different UX designer jobs there based on your own conditions and needs. No matter whether you are new to UX design or have been a UX designer with limited experiences, you’d better follow the five steps carefully and keep learning to broaden knowledge in UX design and improving your UX design skills. 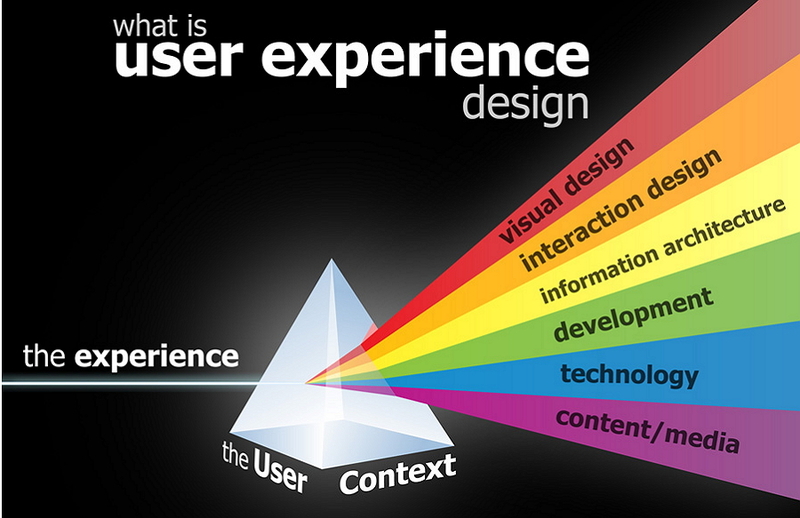 Moreover, you’d better keep in mind: it could be a long way to go if you know nothing about UX design. Just be brave and sturdy. Of course, if you are a UX designer with no experiences, also do not blindly set unrealistic high goals. Just choose a position that can offer you opportunities to learn and grow. Overall, hope you can find your job as UX designer successfully in the end.